Could there be a more perfect location? 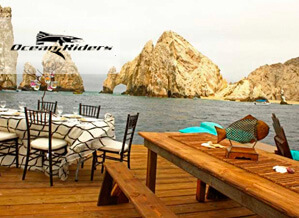 Cabo San Lucas is nestled at the sun-drenched southern tip of the Baja California Peninsula, between the crystal clear Sea of Cortez and the deep blue Pacific Ocean. There is no better place on the west coast to witness the migration of majestic gray and blue whales. It’s a unique opportunity to interact with the largest mammals on the planet and their offspring. 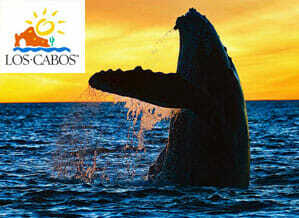 Tour companies with years of experience are available for whale watching outings. Trained staff will make sure your experience is unforgettable while always maintaining the right balance between humans and nature. For more marine fun, you’ll want to connect with tour companies offering scuba diving, snorkeling, parasailing and some of the world’s best sports fishing. You can also rent kayaks, paddle boards and jet skis at the famous beach of El Medano. For extreme sport enthusiasts, how about skydiving or a ride in an ultralight aircraft? 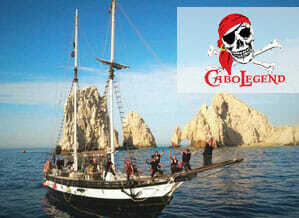 Cabo San Lucas is also an ideal place for adventures on land. Desert landscapes give way to golden beaches creating the perfect environment for horseback riding, ATV tours and hiking. Here’s one piece of advice. Don’t forget your camera! 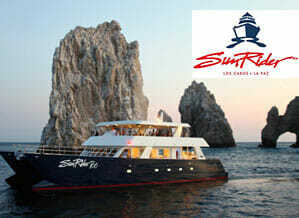 Cabo San Lucas nightlife is legendary and the Marina is the hottest of the hot spots. It’s easy to see why. There’s more than a mile of international restaurants, exotic bars, killer views and a comfortable yet vibrant atmosphere. 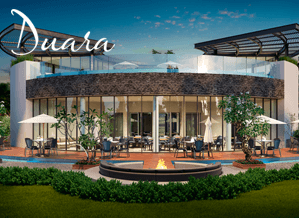 Here, the aromas of both haute cuisine and traditional dishes mix with music and laughter to create a one- of-a-kind setting. 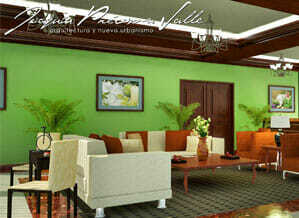 It’s spohisticated, casual, energetic and memorable. 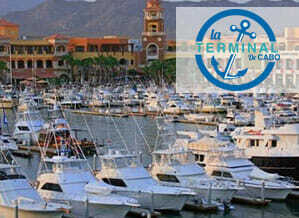 The Marina is a working port by day with cruise ships and fishing boats. But at night, it takes on a whole new persona that’s pure fun. Put your feet up and enjoy the view, enjoy some of the best dining in Cabo, or slip into your dancing shoes and get into the music. It’s all here at the Marina, just waiting for you. 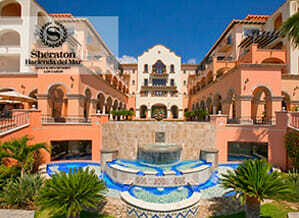 Come discover complete relaxation and delight as you lounge by any of our four pools, at our beach, or our Starwood Spa Collection spa and allow us to make your vacation memorable.With its cobblestone lanes, winding paths, quaint Placitas, fountains, restaurants, and shops, the Sheraton Hacienda del Mar Resort & Spa, Los Cabos captures the feel of Old Mexico. 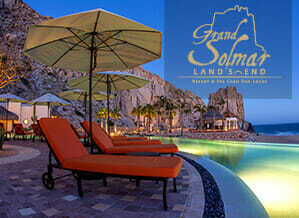 Tucked between dramatic cliffs and azure sea, Grand Solmar Land’s End Resort & Spa is a spectacular vacation destination immersed in the Baja’s natural beauty. Gentle sea breezes and picturesque ocean views inspire relaxation, romance and adventure. Enjoy luxury suites with kitchens and balconies overlooking the Pacific ocean. Refresh in our dazzling infinity pools and sip tropical cocktails at the swim-up bars. Enjoy sensory experiences at our sea spa cabanas, where you find harmony and tranquility at water’s edge. 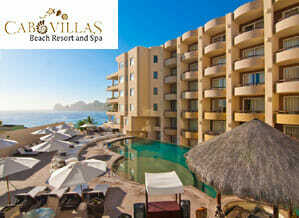 Discover the perfect place to vacation at Cabo Villas Beach Resort & Spa. With our spacious suites, varied services and breathtaking views, our hotel’s location in “the heart of Cabo San Lucas” makes it the ideal choice for a whole family, a group of friends or a romantic getaway. 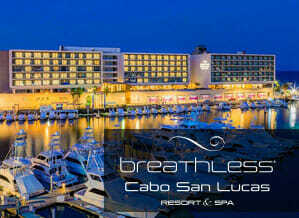 Breathless Cabo San Lucas is the hottest resort in Cabo San Lucas with an exclusive Party Calendar delivering unique weekly events and monthly themes that are designed to envelop you in the non-stop party. 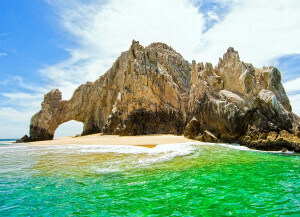 Experience Cabo in a new way. Discover paradise high above the sea in a dramatic destination that gives you seclusion, but is still close to the best of the Baja. 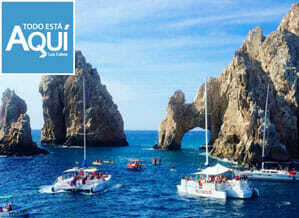 Ignite your imagination with spectacular views of Land’s End, where a rugged coastline greets the Sea of Cortez. 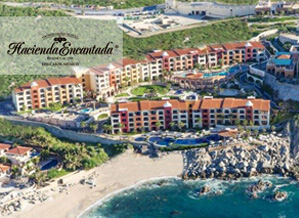 Hacienda Encantada brings you the finest Los Cabos luxury experience, pairing exquisite suites and private villas with superior service, traditional Mexican architecture and breathtaking landscapes. Unforgettable memories are waiting to unfold amid the beauty of our family-owned retreat. 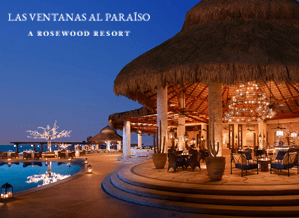 Renowned for creating relaxing experiences by the sea, our luxury resort in Cabo San Lucas brings forth a new vision while maintaining our legacy of sophistication and five-Diamond service. Immerse yourself in a truly unique and exclusive experience as you’re welcomed to our Cabo San Lucas resort via the only privately owned tunnel in Mexico, Dos Mares. 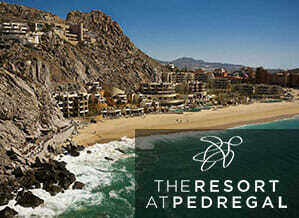 As a paradise in and of itself, The Resort at Pedregal features a collection of residential style casitas with the luxury of personal concierge services, private plunge pools, rainforest showers and a host of modern amenities. 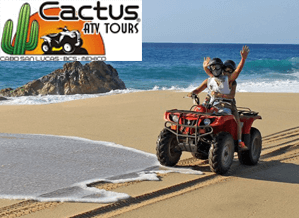 Tourism organization with more than 9 years in the market satisfying our clients with the best off-road tours within the Mexican Republic located in Baja California Sur. Created to keep you entertained during your vacation or any relaxation day. Aimed for couples, families, business groups and even for the lonely who want to live the adventure in the different vehicles that we offer for our tours. Live the adventure with a company that stands out for its excellent customer service. 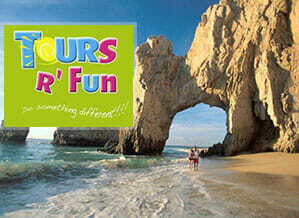 G-Force adventures offers free transportation service in the hotel zone of Los Cabos. 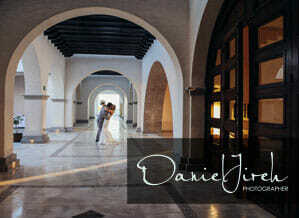 We will do what is necessary to meet your expectations. 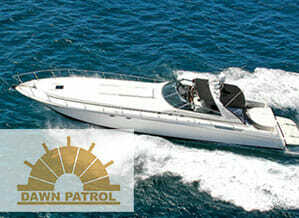 Dawn Patrol, a 63′ Sea Ray Sun Sport Yacht, offers enough space up to 30 people and with its luxury Master Bedroom and Living Room, we can guarantee that you will find all that you are looking for, for that special moment with your loved ones. Create your own tour and feel free to decide if you would rather take some time to do some snorkeling or experience a sunset at the very tip of the Baja Peninsula and spend all the time you need for fishing. 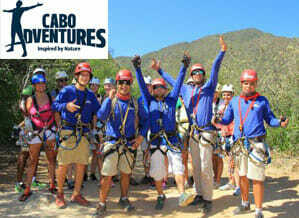 Cabo Adventures is the number one tours and activities operator in Cabo. 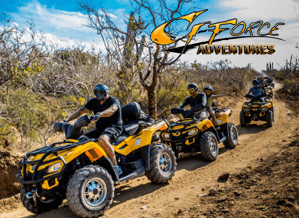 We offer a wide selection of adventures, tours, excursions and things to do for all ages – from zip lines to swimming with dolphins, to whale watching, snorkeling, diving and camel riding. 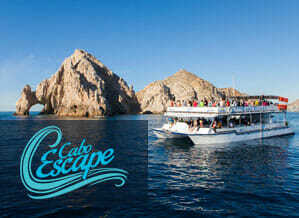 Enjoy the Speed in Cabo San Lucas Bay! In your visit to Los Cabos, do not forget to add your watercraft to your list of activities with your friends from Baja’s Watersports. 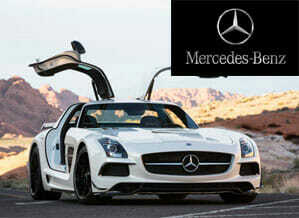 Business of leisure, recreation and tourism luxury transportation. 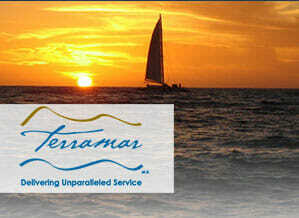 Terramar is a travel services company that has been in operation since 1994, offering the best level of service and quality at the destination. The wide range of services include: Agency tourism professionals in congresses, meetings, incentives, events, transport and leisure. Your best choice for over 15 years. Whether you plan a vacation or just a quick visit to Cabo San Lucas, Cabo Expeditions it is still the best operator in the choice, offering a variety of excursions at sea and on land. 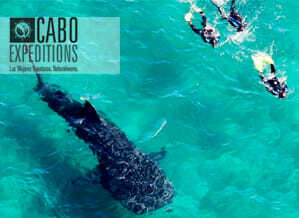 If you are looking for an adventure in Los Cabos, then we have to know. 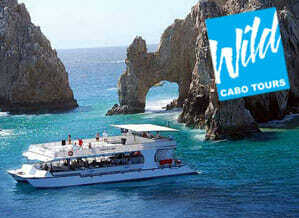 Ocean Riders has become the most popular tour for whale watching. The performance of our vessels enabling us to explore more territory than any other in the city, ensuring the encounter with the whales while you are comfortable and enjoying the surroundings of this beautiful corner of the world. 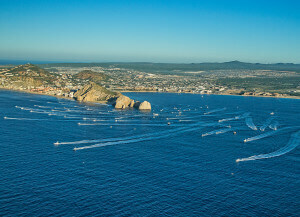 By not specifying the place where we go, we follow the nature of the Pacific Ocean or the Sea of Cortez depending where the action is on that particular day. 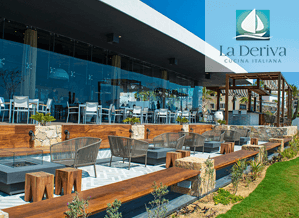 Carved into a cliff overlooking the Bay of Cabo San Lucas with the best view of the famous Arch at Land’s End, Sunset Mona Lisa consistently presents a new experience to those seeking excellence in food and service. 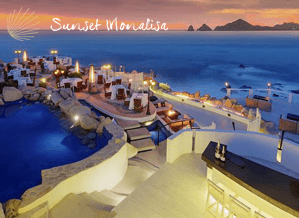 Located at the tip end of the Baja Peninsula of Mexico, Sunset MonaLisa has long been an icon in Los Cabos and has been recently classified as “One of the top 5 coolest restaurants in the world” by the Tribune International. 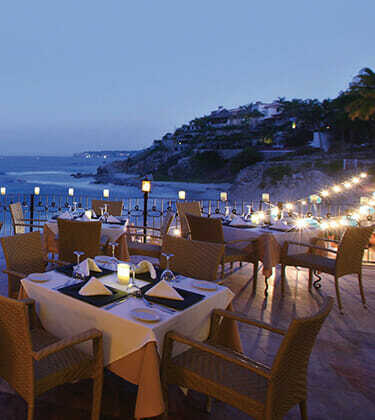 El Farallon in Cabo San Lucas is an unforgettable oceanfront experience for seafood specialties. Tucked into the cliffs and stocked daily with bounty from local fisherman, El Farallon overlooks the Pacific Ocean for unparalleled views. 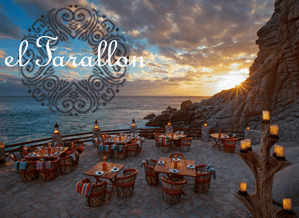 Enjoy a premier champagne tasting in Cabo San Lucas with cheese pairings at The Champagne Terrace located at the main entrance of El Farallon. Let the games begin! No matter what game you’re looking for, our Sports Bar has it for you! 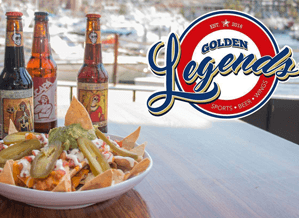 Do not miss a touchdown, run, goal or score while enjoying a cold beer and a delicious menu of wings, hamburgers and more. 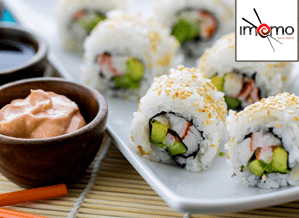 A unique and cozy place of sushi in a privileged location with a terrace overlooking the harbor along the marine promenade of the marina, offering an eclectic mix of spices, spices and flavors interlaced with soups, salads and a variety of sushi rolls. 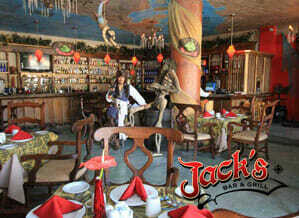 Great place for a family reunion or friends with a very cool and relaxing atmosphere. 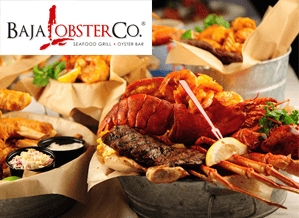 Specializes in seafood prepared in exotic and imaginative ways. They can dine inside our air-conditioned dining room, outside on the patio overlooking the waterfront marina and luxury yatchs or on our very own deck-bar that is cantilevered off the malecon over the water. 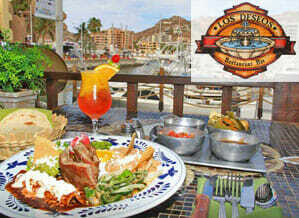 Enjoy a Mexican atmosphere in our air-conditioned dining room or on our terrace overlooking the port along the coast of the marina, offering an extensive menu with more than 35 items ranging from chicken Pibil in banana leaves to steak of veal with blue cheese Many seafood dishes in Mexican sauces. 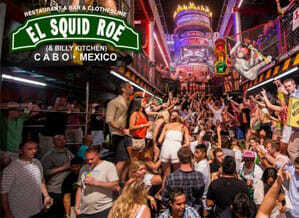 Established in 1989, El Squid Roe is the largest venue in town. Made up of three floors with five full bars, a clothing store, a full kitchen, private VIP areas, & more. 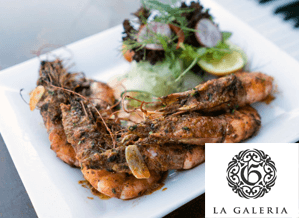 Enjoy the timeless Italian specialties of our Italian chef Roberto Macciadris served in a modern bistro atmosphere. Our classic offers tasty homemade soups, salads, Carpaccios, pastas, anti-pasta, gourmet pizza and foccacia and cibatta sandwiches. 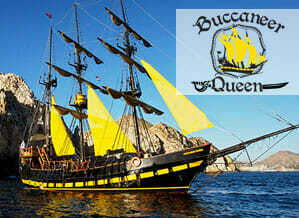 Fascinating pirate atmosphere that offers an eclectic mix of seasonings, spices and flavors intertwined with meats, raisins, seafodd, sandwiches and salads. Our specialty dishes are born from the creativity of our Executive Chef Rodrigo Moreno, and inspired by the food of Mexico, Italy, France and the United States. 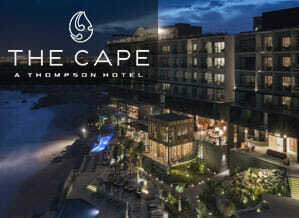 Manta is located inside the Cape , A Thompson Hotel in Cabo San Lucas, Mexico. Exciting views sophisticated signature restaurant Cape can meet their match in the dynamics of the kitchen of chef Enrique Olvera exhibition style. 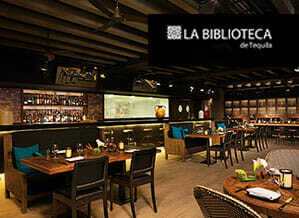 The new restaurant of Chef Richard Sandoval in Cabo , Cabo Tequila Library has a huge variety of tequila, mezcal and agave brandy and Tequila Liquors & Creams based liquor. 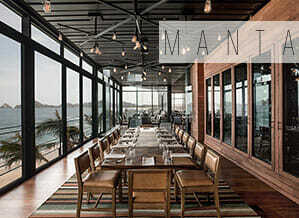 With a unique Mexican – modern menu with organic and local ingredients in a lounge – bar atmosphere in the best location in the Marina Cabo San Lucas and the Sea of Cortez. 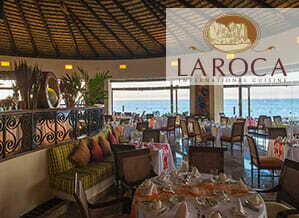 La Roca cuisine restaurant combines worldwide for sophisticated elegance with fresh signature dishes. 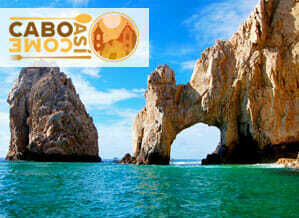 Enjoy homemade baked goods, savory seafood dishes , authentic Baja cuisine as well as American and Continental food. 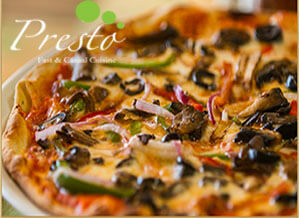 The restaurant serves breakfast , lunch and dinner daily from 7:00 am. Each restaurant participates with an impressive display of its icon recipes and the chefs have the opportunity to attend the more than 3 thousand people. 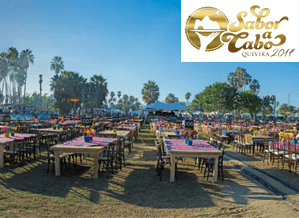 In the trajectory of Sabor a Cabo, international chefs with Michelin stars have also been invited, such as: Dieter Koschina, Enrique Olvera, Richard Sandoval, among others. Blossom Art Flower Boutique specializes in unique and original floral designs, adapting his personality creation event or time. 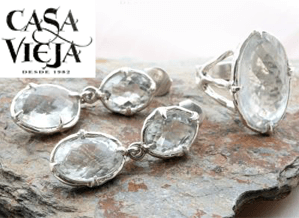 The composition of the designs are made with the finest detail according to the requirements of our customers. 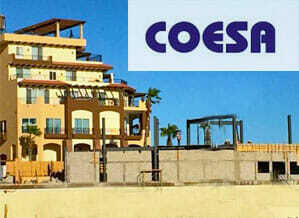 The first event design firm in Baja California Sur. 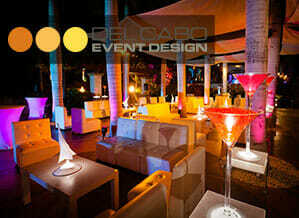 Its mission is to create truly unique events designed especially for the needs and aesthetic tastes of customers. 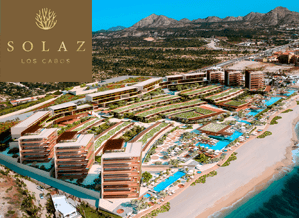 The Mexican Open Los Cabos will have a total financial commitment of almost US $ 800,000, ranking as the highest of its category in the Americas Region. The new hard court tournament will take place from August 8 to August 14 and will be an ideal setting to show off the unique natural beauty of one of Mexico’s most important tourist destinations. Located on the Strip in Cabo San Lucas, California Ranch Market is a small grocery store that specializes in organic foods and high end specialty items. Formerly known as Tutto Bene, this is the local mecca for vegetarians and health conscious visitors, it is also a popular stop for wine lovers. Our facilities have the highest quality standards for proper handling and hygiene of our products, our human talent is highly trained to offer the best service. 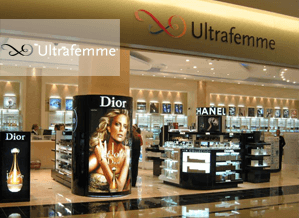 The largest retailer of cosmetics, skin care and fragrances in Los Cabos, to over 500 prestigious brands duty-free prices. 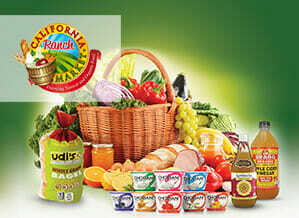 Savings of up to 30% compared to US prices. 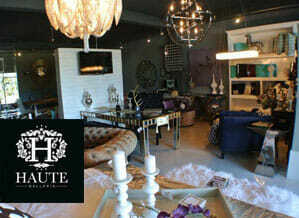 High quality furniture and decorative accessories in different styles. 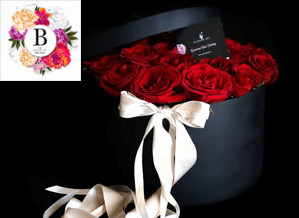 We specialize in spaces with candles acclimate having great variety of shapes, sizes , colors and fragrances , as well as the ability to customize them. We prepare a space 100% focused on wellness with the latest in treatments that will help you recover your ideal mood. 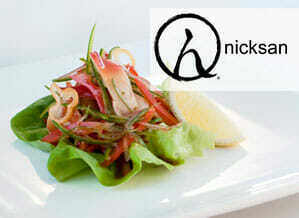 Awaken your senses and feel re-energized. Discover the treatments that improve your well-being. When you start with physical training as important to know your level, strengths and body; the rest is effort and motivation. 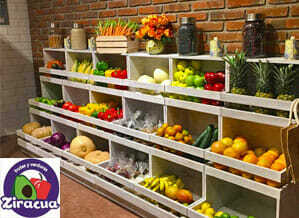 The goal is to see changes to a natural rhythm; achieve good health is a marathon not a race. Playa Grande Spa provides physical, emotional, spiritual and mental therapy in the temazcal, pre-Hispanic steam bath. 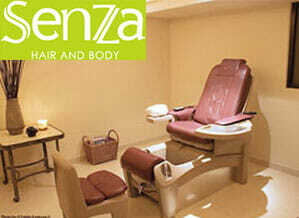 We recommend this experience with loved ones to strengthen the bond while the body is detoxified. According to ancient beliefs, the Temazcal represents the womb of a mother and out is like being reborn. Saltwater Spa is itself an invitation to restore the body with its unique revitalizing treatments including wet and holistic circuit. The hallmark of the place is the use of natural herbs in all massages, as well as the use of sounds in facial and presentation of fire or smoke as an essential part of body treatments. Yandi Monardo is a master of aesthetic intuition. His great passion and discipline towards art lead him to create images of essential content and depth that capture the attention of the viewer. His work delights the eyes and conveys a taste for fresh iconography in which he reveals his creative potential. Rancho San Lucas is a private Resort Community that will take oceanfront living to the next level with single family residences, condominiums and estate homes and unique amenities that include a Greg Norman Design Golf Course, a Village with shopping, dining and entertainment options, an expansive community park with lake, biking and hiking trails, family picnic areas, tennis center and much more. 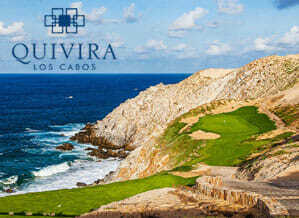 10 minutes from downtown Cabo San Lucas, in a spectacular setting at the tip of the Baja California Peninsula, framed by vertical granite cliffs, huge wind-blown dunes and rolling desert hills, golf legend Jack Nicklaus has designed a course that is about to redefine the golf experience in Los Cabos: Quivira Golf Club. 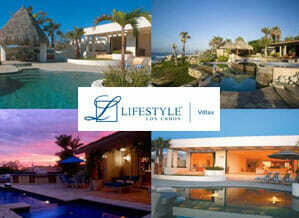 Located in one of the most exclusive areas, it offers the perfect mix between spaces, lifestyle and accessibility. 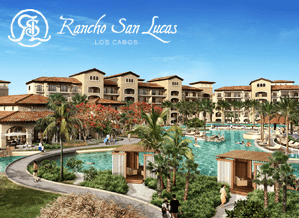 There are innumerable reasons to buy real estate in Los Cabos, Mexico; beautiful weather, heavenly beaches, and the option of being outdoors every day of the year are just some of them. LIFESTYLE Villas can make the dream of a Los Cabos villa vacation a reality in the sun-soaked beach paradise we call home. Specialists in Counseling and Legal Representation. 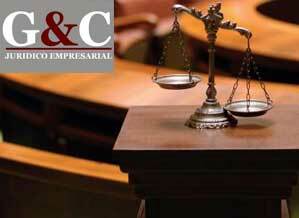 Born from the need to offer real solutions to their legal problems in various areas of law. 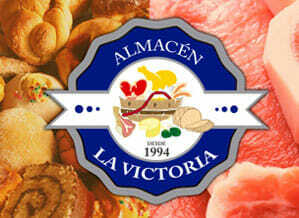 With more than 15 years of service in Los Cabos, Almacén La Victoria offers a wide range of groceries, meats, dairy products, oriental products, sausages, miscellaneous and many more, with over 3,500 items available to you, 365 days a year. 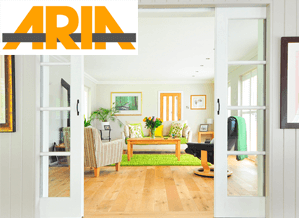 We are your best option for work at home or business, such as remodeling, painting or making new installations of anything you need. 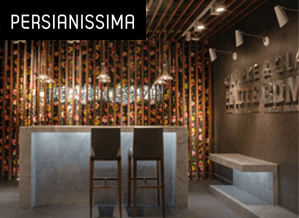 We are a dedicated and specialized firm in the solution of spaces, offering our clients the attention and dedication they deserve with the task of achieving the maximum detail in interiors, architecture and urban design. 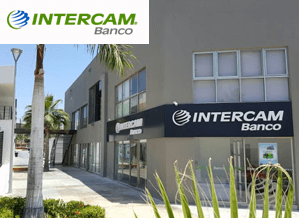 We are a leading company with innovative ideas supported in the design and use of technology dedicated to construction, based in the Municipality of Los Cabos, B. C. S. Mexico. 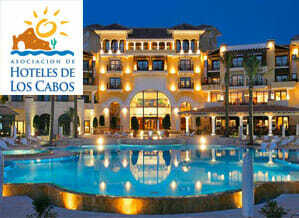 With extensive experience doing work in extended hours in the most exclusive areas in the area of ​​Los Cabos. 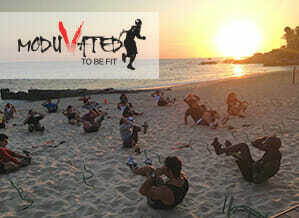 Unite to promote a social and cultural change to transcend as a tourist destination friendly, safe, with values! 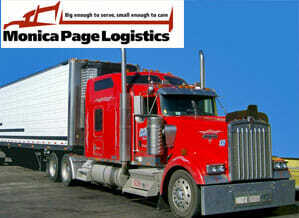 Monica Page Logistics Corp. is an organization that offers international freight transportation and management, customs clearance services, storage storage and installation services across the US. And Mexico. 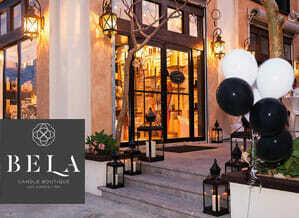 Known for offering unparalleled service, personal and courteous service. 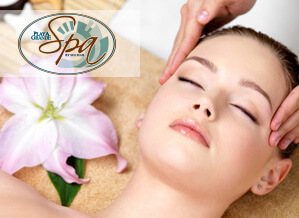 Our mission is to treat our valued customers as we ourselves would like to be treated. 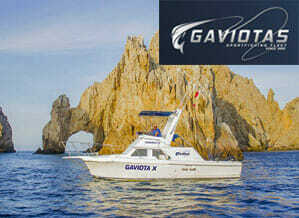 With 28 years of experience, we have been given many awards, including being chosen as the best cargo promoter in Baja.